Testimonials and client reviews are presented below by our clients. We appreciate those who have provided us with these testimonials and feedback about their experience and have taken their time, to let us know the impact we are having. In January of 2013 I was introduced to Mr. David Bayliss as I entered into the most horrific allegation a man could ever have put against him, that being sexual offences. From the first meeting, Mr Bayliss was understanding, firm, but very fair. He was not pushy but told me the way it was, and had my back even when my emotions would get the best of me, he would be the one to affirm that he would get the truth out and make sure truth prevails. We, and I say we, made it through the storm and sunny days are coming, and the truth was exposed and all charges were dropped. This man not only saved me from being found guilty of something I would never do or contemplate to do, but he saved my life for believing in me in a time of crisis. In conclusion, I now believe there are good people out there once again that care, and David Bayliss Professional Corporation is a firm that I put my life and soul in their hands, and they never let me down. I was referred to seek David Bayliss’ services through a family friend who was familiar with his credentials and professional work. While dealing with any legal matter is stressful, I found David’s advice and guidance during this time to be extremely valuable. David’s knowledge and experience were evident early on as he was able to assess the merits of the case from several angles that were beyond my expectations. David was always willing and able to answer any of my questions related to both the case and the law in general, no matter how trivial. In fact, David agreed to initially consult with me during his vacation time. He was honest about the challenges and appropriately reassuring. Both David and his staff were extremely helpful in providing accurate and timely communication regarding the progress of my case. David’s success at the trial was undoubtedly a result of his thorough preparation prior to the trial. Knowing that I had David in my corner for the trial gave me tremendous confidence, particularly since he kept me abreast of his plan and preparation. During the trial, I was greatly impressed by David’s tenacious advocacy on my behalf and his ability to manage the dynamics of the courtroom from the judge to the witnesses. 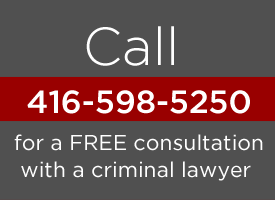 David is a dedicated lawyer who seeks to provide the best legal service to his clients and I can attest to that. If you require legal advice, I am confident that David will be able to not only meet, but surpass your expectations! David’s faith in him and solid knowledge of the justice system added a blanket of credibility around my son’s defense. My son has been manipulated by police and in court by Crown Attorneys before, and this time… the Crown Attorney’s incompetency and attempts at manipulation were revealed to the entire courtroom, while my son got the freedom he deserved. Because of this, he gets his life back and his baby daughter gets to have her dad present in her life. David Bayliss saved my son from a criminal record, had the charges dropped, plus got all our money back that was taken by the police. Mr. Bayliss negotiated with the Crown and we did not have to go to court. Bayliss puts everything he has into defending his clients. We can’t thank him enough.